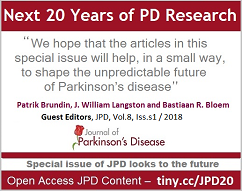 JPD Special Issue: PD 20 Years from Now – View our open access special issue of JPD (Vol.8, Iss.s1) is available that addresses where Parkinson's research & treatment will be 20 years from now. Read the 19 exciting papers written by experts here. This volume follows on from the special issue to commemorate 200 years of PD research published in 2017. Both issues are open access for readers to download and share! Parkinson's Webinar Series – In June 2018, IOS Press announced the partnership with The Cure Parkinson’s Trust to provide information about breaking research news to be featured on the web portal for people with Parkinson’s (PwPs) called Parkinson’s Movement. 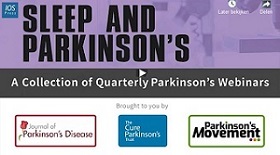 Linked to this initiative was the launch of a series of Quarterly Parkinson's Webinars. The most recent webinar can be viewed online here. Social Media & Sign Ups – JPD is on Facebook and Twitter, with social media editor Kayla Habermehl at the helm. Be sure to follow us and be part of the conversation! Be sure to sign up to the JPD newsletter to receive alerts of new issues and other journal news. Sign up via this link tiny.cc/JPDsignup & you can read the latest newsletter here. Please click here to pay your publication fee and/or Open Access fee. What Is the Role of the Gut Microbiome in Developing Parkinson’s Disease? A follow-up study of patients with Parkinson’s disease (PD) who participated in an earlier “proof of concept” clinical trial using exenatide showed that improvements persisted twelve months after discontinuing exenatide therapy. 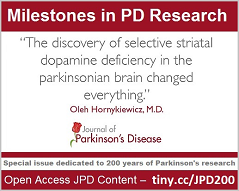 These data provide strong encouragement for the further study of this drug in patients with PD, report researchers in the Journal of Parkinson’s Disease. Exenatide, a glucagon-like peptide-1 agonist (GLP-1 agonist) medication marketed as Byetta® and Bydureon® and used in the treatment of insulin resistance in patients with Type 2 diabetes, has been proposed as a disease modifying drug in PD. Earlier studies had shown that exenatide is neuroprotective and promotes functionally beneficial neuroplasticity in animal models of neurodegeneration. Furthermore, exenatide has a favorable safety profile, with only relatively mild gastrointestinal side effects (including nausea and weight loss) as frequent adverse events. In an earlier “proof of concept” randomized controlled trial published in May 2013, participants were randomized to either self-administer exenatide in addition to their regular PD medications or to act as controls, i.e., receive their conventional PD treatment only. All of the participants had moderate severity PD. In total, 44 patients (20 in the exenatide group and 24 controls) completed the trial. After 12 months the results showed significant and clinically meaningful differences in both motor and cognitive symptoms between those patients receiving exenatide and the controls. At 14 months, when the patients had discontinued exenatide for two months, the exenatide-treated and control groups still differed from each other. The authors concluded that the study supported potential disease-modifying benefits of exenatide in PD, while acknowledging the lack of a placebo arm. All of the participants took part in a repeat assessment 12 months after the trial ended. The motor and cognitive advantages persisted in the exenatide group. Compared with the control group, those in the exenatide group had an advantage of 5.6 when using the blinded MDS-UPDRS motor subscale and 5.3 points on the Mattis Dementia Rating scale. “We found that patients on exenatide appeared essentially unchanged throughout and beyond the trial period, while the control group had the expected rate of gradual decline in movement and cognitive ability,” comments senior investigator Thomas Foltynie, MRCP, PhD, of the Sobell Department of Motor Neuroscience, UCL Institute of Neurology, London, UK. The investigators did not find evidence in their data to suggest that glucose tolerance is different in PD patients who received exenatide for 12 months. 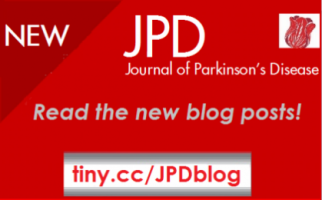 “Motor and Cognitive Advantages Persist 12 Months After Exenatide Exposure in Parkinson’s Disease,” by Iciar Aviles-Olmos, MD, PhD; John Dickson, PhD, Zinovia Kefalopoulou, MD, PhD; Atbin Djamshidian, MD, PhD; Joshua Kahan, BSc; Peter Ell, FmedSci; Peter Whitton PhD; Richard Wyse; Tom Isaacs; Andrew Lees, MD, FRCP; Patricia Limousin, MD, PhD; and Thomas Foltynie, MRCP, PhD (DOI: 10.3233/JPD-140364). Contact Daphne Watrin, IOS Press, +31 20 688 3355, d.watrin@iospress.nl for additional information. Journalists wishing to interview the authors should contact Dr. Thomas Foltynie at T.Foltynie@ucl.ac.uk or Patrik Brundin at patrik.brundin@iospress.com.